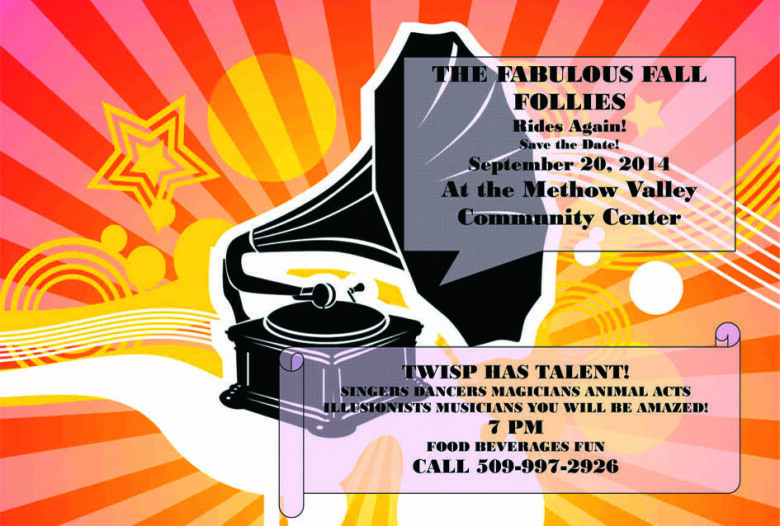 The Fabulous Fall Follies will ride again at the Methow Valley Community Center in Twisp. Featuring over 12 talented acts, “our goal is to entertain you, tickle your fancy, and bend your senses”, say organizers Kelly Donoghue, Mark Holm, and Kirsten Ostlie. Acts may include singers, dancers, magicians, animal acts, illusionists, and musicians.